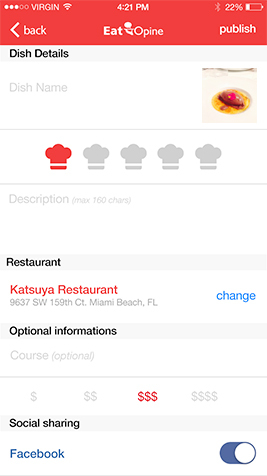 The app serves as a platform for food lovers to review dishes, meals, and entrees at a multitude of restaurants. 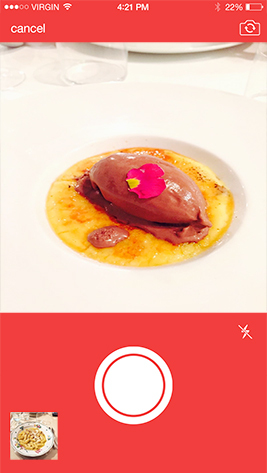 Users take a photo of their meal and write reviews on the meal item. Dishes and restaurant ratings are taken from a culmination of user reviews and ratings. Well done! 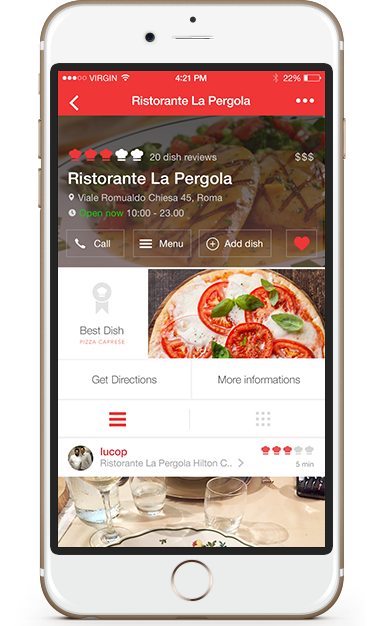 Your rating is on our community and you'll help other users to find their best dishes! "Our mission is to help everybody to have the best possible meal." Using the dish photos we give a more accurate and genuine evaluation of the restaurant. We love eating good and genuine food. Our mission is to help people choose the best restaurant where to eat their favourite dishes. We're a community of foodies. 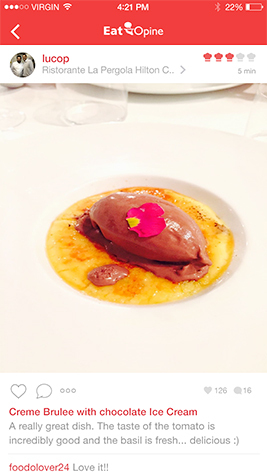 You can follow other users to see their photos and favourite restaurants! With only three steps you can rate a dish. Snap, Rate, Share.